Created By Barbara: You + Me! I bet you came from Kristine's awesome blog! Welcome!!! 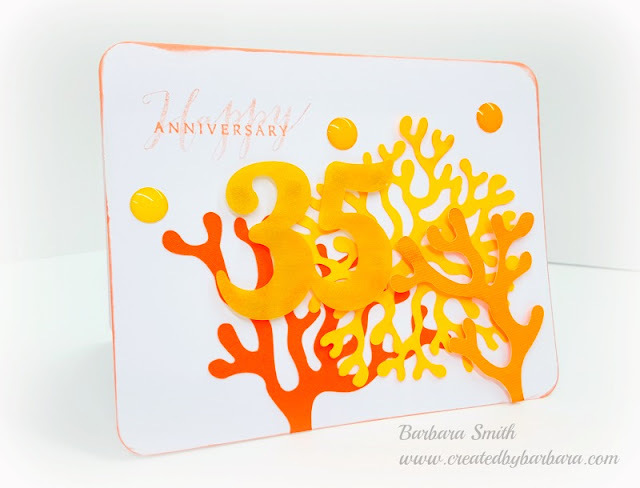 We are featuring the #30yearsofhappy stamp set in this Blog Hop. You get this FREE with a qualifying purchase. I have made three simple cards, using a combination of stamps, from this wonderful set. All three cards use: White Daisy Cardstock and Enchantment Paper Fundamentals Assortment pack. Let's start with the 3x3 "You + me are picture perfect"... I used Black Ink on the CAMERA and the YOU + ME stamp. I stamped the YOU + ME on white daisy cardstock and cut it out, popping it up with 3D Foam Tape. The PICTURE PERFECT is stamped in Barn Red ink. I also used the Edge Distresser on this and the 4x4 card. The 4x4 "Love is sealed with a kiss"... Honey ink was used for the YOU + ME and ARROW stamps and Cranberry ink was used on the HEART and SWAK stamps. I scored the paper fundamentals paper at just over an inch in, to make a nice little flap for the sentiment. I also popped up the you + me on this card. The final card is "You + me & love = awesome". Cranberry Cardstock was used to mat the border with stamped white daisy on top. Honey and Cranberry inks were used on this stamp as well. I used three generation stamping, with the HEART stamp, in the middle of the card. Well, that is is for my small part in this Hop, hope you enjoyed it! Thanks for stopping by! Now hop in over to Kim's terrific blog! What great "love" cards!! You could easily do this class at valentine's day!! Eye-catching color combo! Love the little door on the one card and the way you used the Fundamentals. Thanks for the inspiration! Really fun and fun colors too! I agree with brenda! You could totally do a vday class! Adorable Barb. Love the way you used the little Love stamp. Yes....a class would be perfect! Your cards are as cute as can be! I love the color combo-- so fresh and cheerful! So cute! I love the color combo!! I love the way that little door opens to show additional stamps AND the other side of the fundamentals paper. WOW!! So cute, Barb! I love how much the colors pop! Super stinkin' CUTE! That flap effect is so creative ... not to mention lifted!